It can be easy to forget about magazines these days. We seem to live our lives in a whirl of blogs, tweets, status updates, retro-filtered pictures of food, videos of cats and stories with headlines like You Wouldn’t Believe What This Man Ate For Lunch. Amid all this flotsam and jetsam, the days where people sat down to read anything longer than a Buzzfeed post can seem distant. The BMC has our own magazine, Summit, which goes out in print four times a year to individual members. We also have a digital edition which is free to all members. Similar organisations to the BMC in Scotland and Ireland also have their own membership magazines. But walk into a shop and there is, of course, even more choice on the shelves. 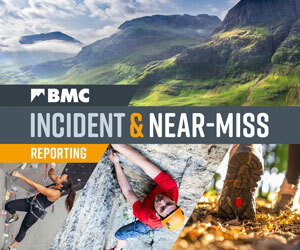 What’s more, BMC membership gets you a discount on many of them. Here are some of our favourites for walking and climbing. The UK's best-selling hill walking title. Big and bold features on the pointier parts of Snowdonia, the Lakes and Scotland written in a light and accessible style, alongside lots of useful information on gear, routes and technique. Covers summer hill walking, scrambling and winter walking, with a healthy dose of wild camping and bivvying thrown in. From the same publisher as Trail, Country Walking covers a ‘softer’ range of walking than its mountain-heavy sister mag, with the emphasis more on cream teas than crampons. Coastal strolls and lowland rambles sit alongside hilly and mountainous walking at the more forgiving end of the spectrum. Celebrity columnists include broadcaster Stuart Maconie and former National Trust boss Dame Fiona Reynolds. Described by Doug Scott as the “thinking person’s outdoor magazine”, The Great Outdoors (formerly TGO) is traditionally known for its ‘literary’ take on the outdoors, its flag-flying for lightweight backpacking and its coverage of environmental and political topics. Recent years have seen major revamps of both its print and digital offerings, brightening its design while introducing new contributors and a regular spot by comedian Ed Byrne. The only walking magazine devoted purely to Britain’s most beloved (and busiest) hill walking area, the Lake District. Aims to give you “the best places for a pint, hearty meal or where to find a comfy bed for the night after a big day on the hill” and is written by real Lakes aficionados. Pitched somewhere in the hazy middle ground between walking and climbing, Trek and Mountain is a relative newcomer to the UK outdoor magazine scene. The emphasis is mostly overseas, with crowd-pleasers like Mont Blanc, Kilimanjaro – and yes, Everest – featuring alongside more unusual offerings and the occasional meaty British challenge. A grass-roots feel characterises this friendly mag’s pages, with its focus on British mountain crags and holiday rock. Great historical articles, high-quality lowdowns on Lakeland classics and in-depth interviews with the rich and famous of climbing, past and present, will pass many a toilet visit. Magazine royalty with the highest production standards out there. Just like the way the queen doesn’t carry cash, Alpinist is barely sullied by the nasty whiff of commercialism. Huge sprawling articles written by big guns of the era give it real depth and a feel more like the New Yorker; the word ‘magazine’ sometimes doesn’t feel right. Elite, upwards looking, and deeply serious. A great balance of inspirational pictures, quality journalism, destination features, gear and training, advice and humour. Nice big pages show everything off in a fresh, well designed style. Always a few good reads in every issue. As the year ends, it's time to see how it measured up for climbers. From pushing sport-climbing limits to punishing link-ups, what will 2014 go down in climbing history for? Here's what we think. Good list but you missed the long established US magazine 'Climbing' - also a very good read. Broad coverage from bouldering to the greater ranges. You may also want to take a look at Senior Hiker Magazine. It is a high-quality journal, with good writing, beautiful photography, artwork inspired by the wilderness and compelling environmental science.